Danang is a beautiful city that well-known for the surrounding beach and warm weather, friendly citizen. Each year, the city is the host for many festivals, events; along with which, tons of waste are dumped into the city, blown into the sea, into the river. Figures say that 8 million tons of plastics waste got polluted into the ocean. The environment, hence, got damaged for a long term. 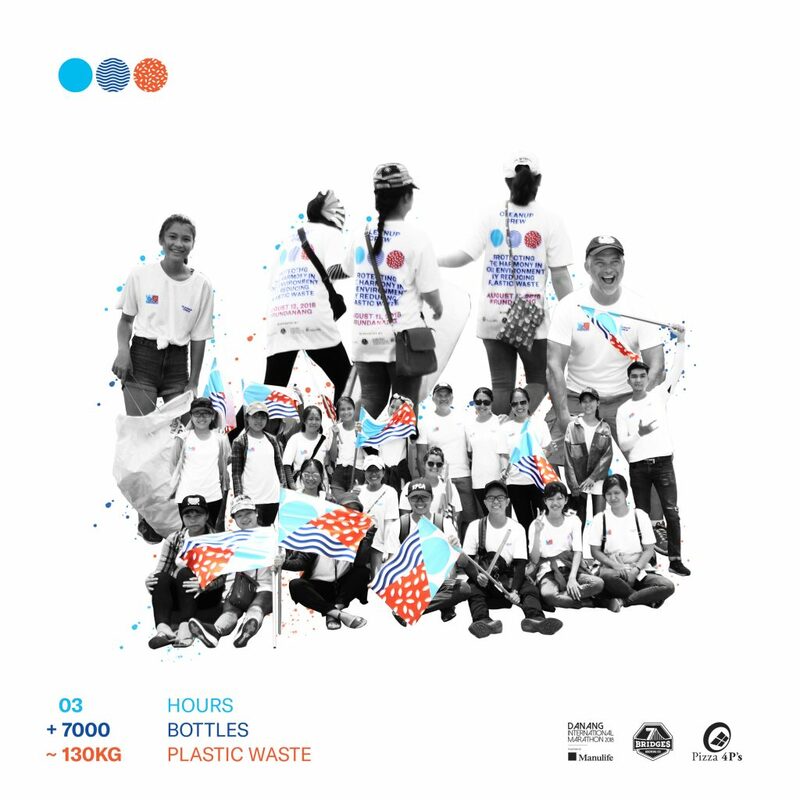 Today, we proudly state that: during that 3 hours, we have cleaned up 7000 bottles (about 130 kg). Those bottles were sent to Evergreen Lab, an active NGO in reforming plastic waste into other usages. For an instant, Evergreen Lab creates a manufacturing chain to reform into bricks, tiles… for the construction industry. Thank you Danang International Marathon organizer for providing us an opportunity to participate in protecting the environment. Thank you our collaborating partner: 7 Bridges, Evergreen Lab for together with us. Thank you Rice Creative for your visual contribution. And especially a big thank to the young generation of Danang who join with us in picking up the waste on that day. Thank you all the runners, the Danang citizen for cheering us up, saying “thank you” to our volunteer along their hard working hours. Together, let’s protect our green earth for sustainable development.